An eggy headache – Eat. Sleep. Burn. Repeat. 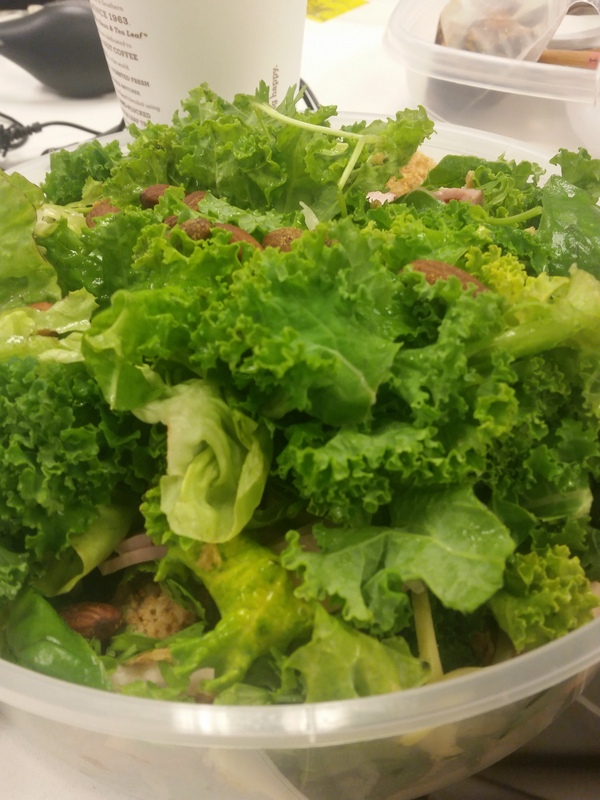 We have #saladmonday and #saladwednesday in the office (just four of us now), primarily because it is ridiculous paying so much money for a few leaves and be faced with a limited range of options for protein and greens. Which then leads me to one of the things I played with the past two weeks: eggs. Man, they are hard to cook. I think that’s one of the reasons why I always order the Eggs Benedict wherever I go, simply because it’s just so hard to poach those eggs. Anyway, one of the things we have in our salads is eggs, and I was sick of having hardboiledtodeathandbeyond rubber balls (I am in charge of them. Sorry, ladies) and so, am really learning this. So I came across the Momofuku Egg Recipe and the first time I did it, I decided straight on to replace the sugar with the honey. The result was okay I think – the eggs were a tad sweet, but the yolks weren’t just as gooey and volcanic. Cooking time was 6:50 and I stuck to that, and it was fine. 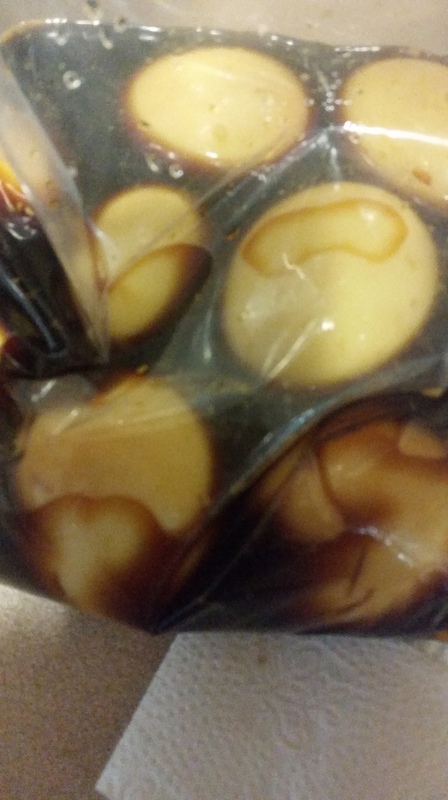 This time, I put the eggs in roiling, boiling water for 6:10 and followed the marination. So far it seems ok. So, guess what we will be having next Monday? Anyway, here’s what to do. 1. Get water roiling and boiling. 3. Boil for 6 minutes 10 seconds. In the meantime prepare an ice bath. 4. 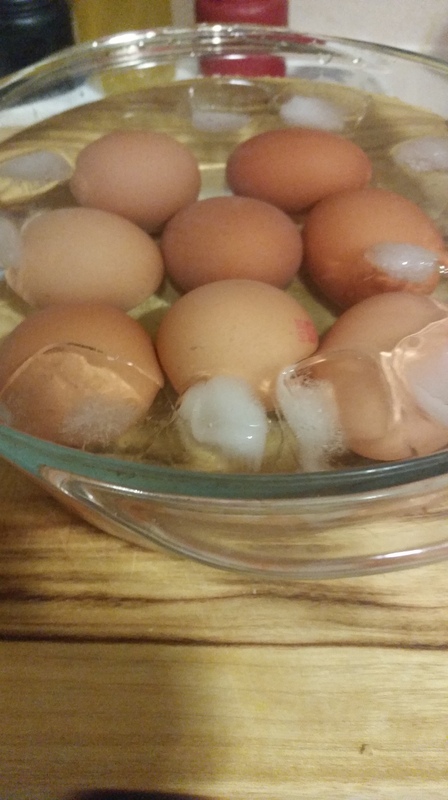 Peel eggs. Duh. I found it easier to do so post baking soda addition – the shells seem easier to manoeuvre. 5. Dunk into the marinate in the link above for the recipe. This sounds eggcellent! I’ll have to try this. Thanks for sharing.